In the hunt for a reasonably priced 1982 Bordeaux for Katy’s brother’s girlfriend’s birthday (a 1982 baby…), which ultimately yielded Langoa-Barton, we picked this up as a backup, which we could always then drink. We did, with Pete, Kev and a roast rolled lamb piece. My first 1982, and very pleasant too – albeit not with huge life remaining. Fairly pale tawny colour (but less than the bottle of 10 y.o. Noval Tawny we also drank). Mature cigar-box development but with a core of sweet, only semi-dried fruit remaining. 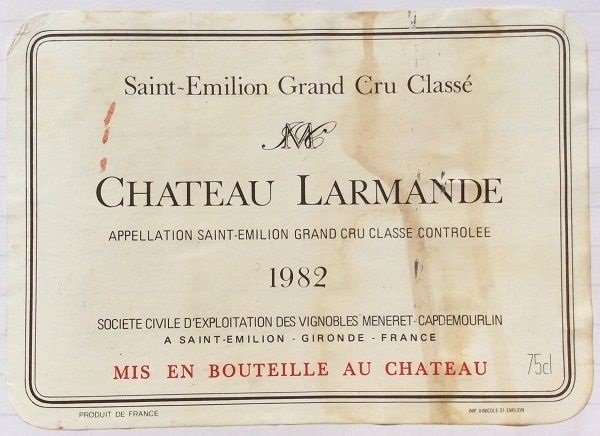 Mature tannins – structured was there, but polished and smooth. Savoury, and definitely ready. Nice.